The Lamborghini: a sleek model of a vehicle which causes great envy to a lot of people who do not own or cannot afford to have one. 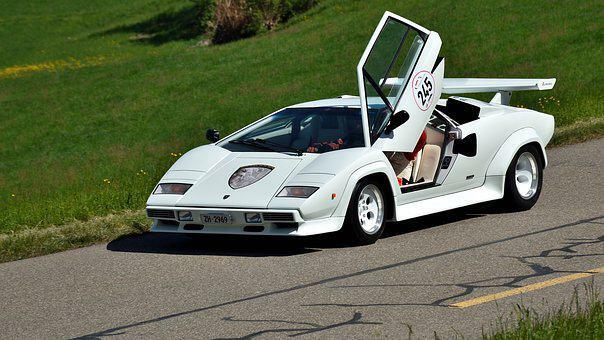 Interestingly enough, Lamborghini has a long history behind it did not even include race cars, or cars for that matter. The Lamborghini was a long time coming from the brilliant and creative mind of Ferruccio Lamborghini. Ferruccio Lamborghini was born in 1916 in Italy. He joined the army and was stationed on a basically remote island during World War II where his ability to fix just about anything without many tools or parts available was discovered. Basically, if he could not fix it, then it couldn’t be fixed. When the war ended, he returned to his home in northern Italy and decided to enter his own business; repairing and fixing up cars and motorcycles. However, as he dwelt in a highly agricultural area, he soon noticed that there was a terrific need for someone who could fix possessions and so he started his venture into tractor repair. Ferruccio Lamborghini started building his own tractor engines and they became so popular and in such demand that he was selling and producing over 400 per month by 1960. By this time, he’d also developed a love for race cars and had possessed and driven several of the best performance cars including the Ferrari. Lamborghini’s first car was a masterpiece and was a V12 with 4 cams. He acquired the assistance and experience of excellent designers, one that had worked on a Ferrari, to develop his first car. The Lamborghini was a hit and production began soon afterwards. After many races and shows, the prevalence of the Lamborghini only intensified and now there were a lot more investors and other companies looking to get in on the production and profits. As the decades went by, Lamborghini was bought and took over by many different businesses, such as Audi and Volkswagen and even the American company Chrysler. Many fretted and worried about Chrysler taking over the Lamborghini; however, the Diablo was born of the merger and even though there were cultural differences, the teams could work them out and work out environmental and other problems together. After Chrysler, Lamborghini had to be sold again and this time it was to Audi. For Lamborghini, this was a huge boon as the company has been having troubles. Even though Audi and previous companies had bought or taken over Lamborghini, they managed to keep Lamborghini’s name exactly the same. August of 1998, Audi became the only owner of the Lamborghini and kept up with the cultural regulations the company had been used to. With Audi’s impressive Melbourne FL Wildlife Removal composed of four exceptional car manufacturers – hence the four ring emblem to the Audi denoting the four companies – they had plenty of power, financing, name recognition and respectability to keep Lamborghini still among the world’s most desired vehicles.